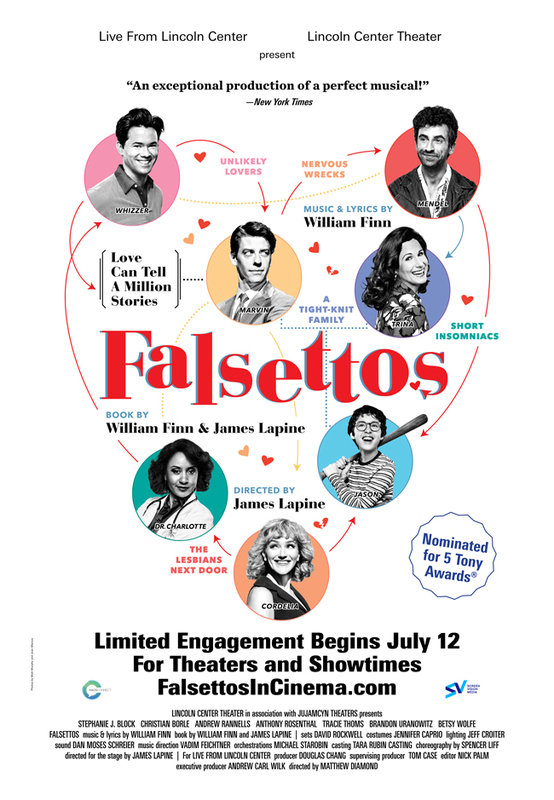 Nominated for five 2017 Tony Awards, including Best Revival of a Musical, Falsettos is a hilarious and poignant look at a modern family revolving around the life of a gay man Marvin, his wife, his lover, his soon‑to‑be‑bar‑mitzvahed son, their psychiatrist, and the lesbians next door. Originally created under the specter of the AIDS crisis, this timely musical about middle‑class family dynamics manages to remain buoyant and satirically perceptive even as it moves towards its heartbreaking conclusion. Lincoln Center Theater’s production stars Christian Borle, Stephanie J. Block, Andrew Rannells, and Brandon Uranowitz, all of whom received Tony nominations for their respective performances. Get a free download of “The Baseball Game” from the 2016 Broadway Cast Recording of Falsettos! Album Now Available at Amazon! Double-disc set includes a 60-page booklet.